PDF Bearbeiten Mac is the German version of PDF Editor Mac, which enables users to edit PDF content like removing unwanted text or images, adding their own text and images, drawing lines, making annotations or rotating PDF pages etc. It also includes a built-in PDF page combining app allows users to merge several PDF files into one. 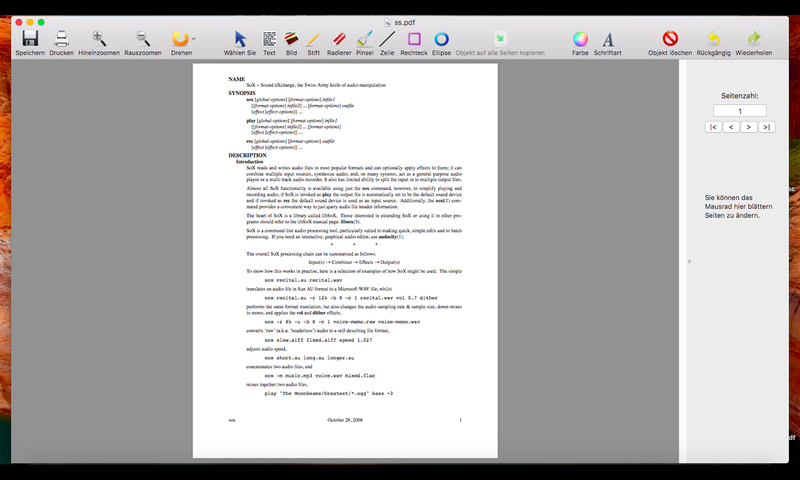 So you could use PDF Bearbeiten Mac for editing and annotating your PDF documents. And the saved PDF file will keep all of your annotations permanently. It is compatible with the latest Mac OS X versions. This site does not contain serial number, crack, keygen PDF Bearbeiten Mac serial number : serial number is the simplest type of crack. A serial number(cdkey,product key,etc) is register the program as you may already know. a crack or keygen may contain harmful software. If you cannot find the exact version you want, just give it a try. for more information read .nfo/.txt/.diz file include in zipped file.